This year, some small decisions will be made on future rail services. But they'll be big, big decisions as far a the TransWilts rail line is concerned. They'll have the most profound effect - for years to come - on the communities of the TransWilts corridor. Will the road from Trowbridge to the M4 become progressively more congested and gridlocked? Will Melksham find it hard to attract business and other visitors because it's so hard to reach by public transport? Will readers traveling to the Wiltshire and Swindon History Centre in Chippenham from Salisbury be able to make the journey in under an hour by train? What should the train service from Swindon to Salisbury, via Chippenham, Melksham, Trowbridge, Westbury, Dilton Marsh and Warminster be? In 2004, the Strategic Rail Authority decided that a round trip from Swindon at quarter past six in the morning, and a round trip at quarter to seven at night, would be sufficient with nothing in between - and that plan was implemented, with minimal consultation beforehand. But then in 2010, Network Rail concluded that there is a significant costed benefit in running an hourly service. That would mean that you could get from Trowbridge to Swindon in 35 minutes (at many times of day, and not just at 07:10 and 19:38), and from Melksham to Warminster in 30 minutes - and not just at 06:41 in the morning and 19:11 in the evening. 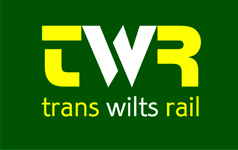 A service at, or much closer to, the one that Network Rail looked at would link the communities of Wiltshire, and the wider Local Enterprise Partnership area too - which includes Swindon and Gloucestershire to the north. And it would connect with the communities to the south - Romsey, Southampton and Portsmouth. The communities in the area are already intertwined with each other. There's a heavy flow of commuters from West Wiltshire to Swindon. Wiltshire College - campuses by the station at Chippenham, and at Trowbridge and Salisbury, runs different specialized courses at each of these locations and students have to travel there. Local hospitals at Melksham, Westbury, and Warminster offer limited facilities, with more major services at Trowbridge and Chippenham, and full hospitals at Swindon and Salisbury. In May, hundreds of Wiltshire Council jobs move to Melksham for several years - close by the station - and there are plans for a similar number of new jobs, permanently near the station in Westbury. When the RAF base at Lyneham (by Wootton Bassett) closes, there is a potential to help the economic redevelopment of the area with good rail transport, but that could only be done if a suitable regional service is running through there. Wiltshire Council, the Wessex Association of Chambers of Commerce, local businesses, MPs, Network Rail, train operating companies (both First Great Western and GoCo), the Community Rail Partnership, and many others are pulling together to ask for a much more frequent service - a service that will link the communities every hour at peak times and perhaps slightly less frequently during the rest of the day - in the current decision round. If we miss the 2011 window of opportunity, we'll have the current service until about December 2017. There's a great deal going on - started from a series of meetings just before Christmas. There's timetabling work, there are more detailed studies making use of rail industry data, and the question is just being asked What do YOU want? We hear of the Government's "Big Community" and we have an opportunity to say "this is what we want" and to work for it. 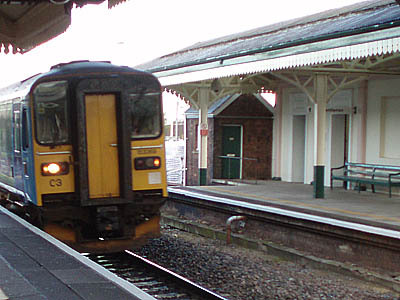 The country simply can't afford long stretches of bypass (and I question whether it should, anyway, looking at environmental issues), but it can afford the equivalent cost of just 20 yards of bypass which would cover the setup and initial costs, while it got its feet on the ground, of a proper train service to link the communities of Wiltshire and beyond. An opportunity to join our team! Park and Ride at Batheaston - will it solve Wiltshires Ills? Regional Spatial Strategy and the next 20 years - Whence Wiltshire under the new government?